Grown- Up Club's Swappydazzle Event! 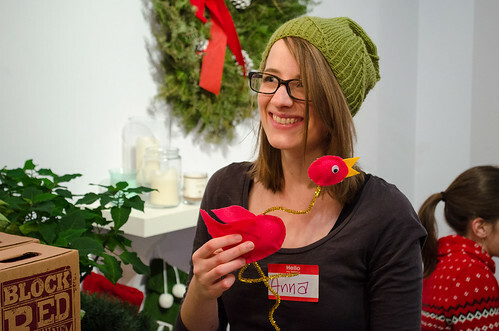 We recently had the pleasure of partnering with Grown-Up Club to host Swappydazzle! It was a fun-for-all holiday event that included a potluck dinner, ornament making, and white elephant gift exchange! As guests arrived, they were able to sample some of the delicious baked goods, traditional dishes, and organic recipes. Everyone mingled, ate, and made their way over the the ornament making station led by Light Grey Art Lab! 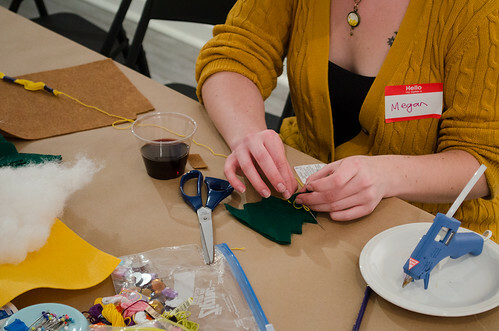 Lindsay led participants through demonstrations on felted ornaments and crafts. You can see of the adorable creatures and interesting creations on our flickr page here! We then had the white elephant gift exchange that including a wide variety of homemade gifts, paper mache costumes, thrift store finds, and more. 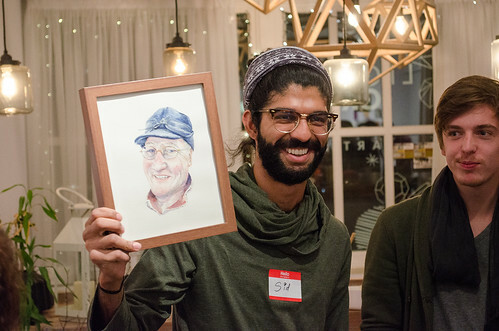 Grown-Up Club is a local organization that hosts meet ups, presentations, and participatory fun events for adults. 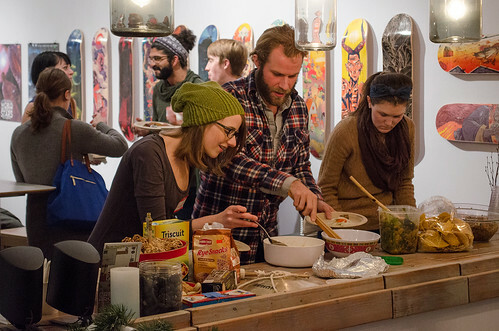 Since 2013, they have hosted a variety of singles exchanges, open mic nights, craft nights, and games at locations such as Common Roots Cafe, the Walker Open Field, Bryant Lake Bowl, and more. If you want to check out Grown-Up Club and get involved, you can see their facebook page and website here! You can also see more photographs from this event on the Light Grey Flickr page.